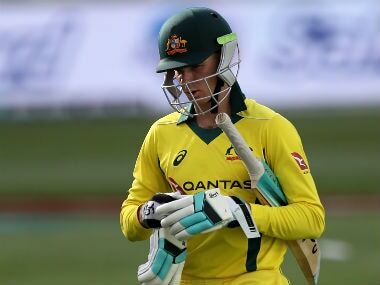 Perth: Uncapped quick Joe Mennie was a surprise pick on Friday in Australia's 12-man squad for the first Test against South Africa, as batsman Usman Khawaja regained his place despite slamming selectors. South Australia's Mennie was named ahead of Jackson Bird after he topped last season's Sheffield Shield competition with 51 wickets and recently toured South Africa with Australia's one-day side. Pace spearhead Mitchell Starc was also picked for next week's opener in Perth after recovering from last month's freak training accident when he collided with equipment, suffering deep lacerations in his left leg. Mennie, who is 6ft 2ins (190cm) tall and known for his accuracy, will battle it out with Peter Siddle for the third fast bowler's spot behind Starc and John Hazlewood. "Joe bowls a great length at a lively pace and his form in first-class cricket has been terrific in the last 12 months," chief selector Rod Marsh said. "He's surprisingly quick. He hits the bat pretty hard. 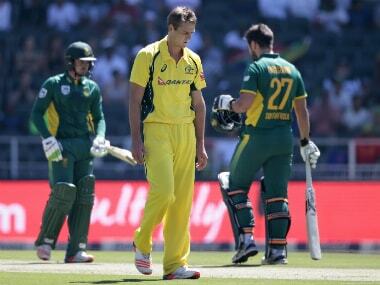 No one likes bowlers who bowl a good length," Marsh said. Australia's fast bowling depth is stretched ahead of the three-Test series, with Pat Cummins and James Pattinson sidelined. Spearhead Starc and Siddle (ankle and back) are both recovering from injuries. "We'll wait and see how they go in the nets. 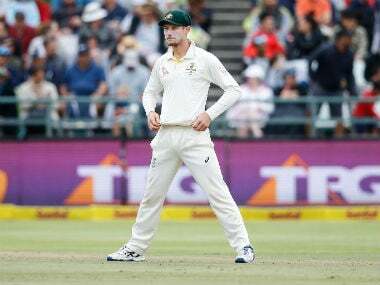 We'll wait and see how everyone's fitness is," Marsh said, when asked if Mennie or Siddle was favoured as the third fast bowler. Bird missed out despite taking five for 59 in his last Test against New Zealand in February before touring Sri Lanka for Australia's 3-0 Test defeat in July and August. Shaun Marsh, who has scored centuries in his last two Test outings, was named as opener with David Warner following his recovery from a hamstring strain, ahead of Joe Burns. Khawaja also returns at number three despite being dropped for Australia's final Test against Sri Lanka. Khawaja last week claimed both he and Burns were made "scapegoats" by "fickle" selectors when they were axed on the ill-fated Sri Lankan tour. "He probably opened his mouth before his brain got working," Marsh said. "I'm not too concerned about it. But I wouldn't say it's the smartest thing he's ever said. That's life. I think the coach (Darren Lehmann) covered that one off." Adam Voges, 37 and with a Test average of 72.75, is one of five recognised batsmen in the squad, while veteran offspinner Nathan Lyon, who has taken 211 Test wickets, keeps his place. 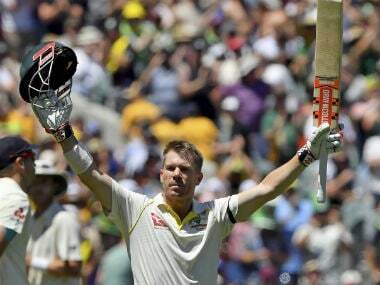 Australia - David Warner, Shaun Marsh, Usman Khawaja, Steve Smith (capt), Adam Voges, Mitchell Marsh, Peter Nevill, Mitchell Starc, Peter Siddle, John Hazlewood, Joe Mennie, Nathan Lyon.